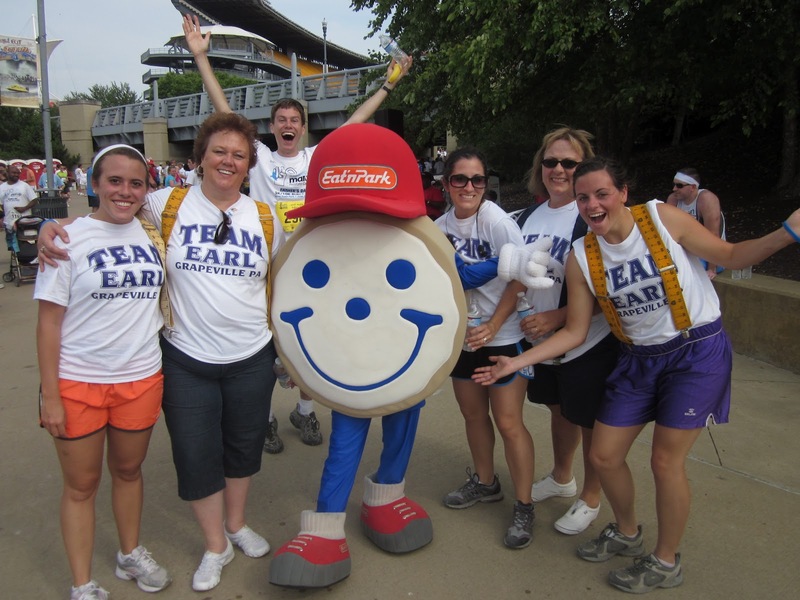 Team Smiley was invited to appear at the Man Up Father’s Day 5/10k this past Sunday. The three thousand runners, walkers, and family members who came to demonstrate their support for prostate cancer research and to celebrate their fathers humbled us, and the tone of the event made all participants gain a greater appreciation for family. At the race, we passed out special Father’s Day Smiley Cookies to families. 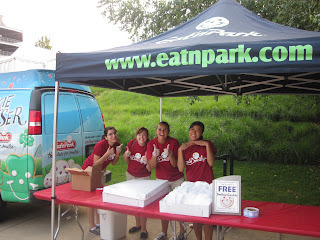 We handed out all of our 84 dozen cookies and were a popular stop for attendees. Our cookies weren't the only draw, though; Smiley also proved to be a huge hit with children! Overall, we had a great day and were proud to support this important event. Thanks to everyone who attended! Hello! My name's Alicia and I attend Duquesne University of the Holy Spirit. I'm a senior in the A. J. Palumbo School of Business, and my concentration is in Marketing. 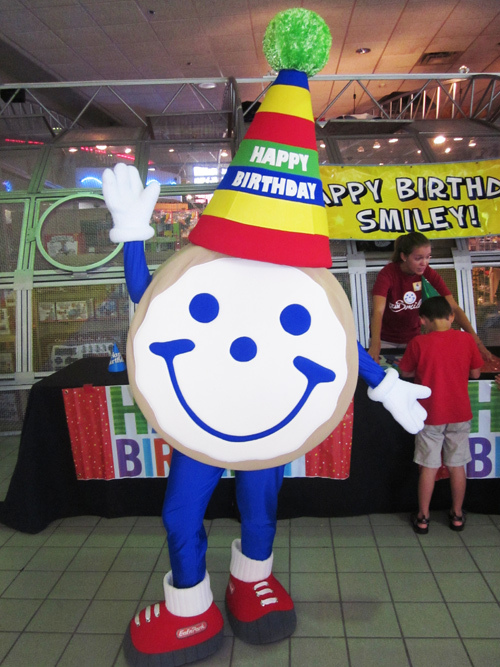 As a new member of Team Smiley, there are countless things that I'm looking forward to this summer; some of which include traveling around with a great group of people every weekend, meeting and getting to know Eat'n Park guests, performing services for the community, and gaining experience in a successful, local business. Above all of those, the thing I'm looking forward to the most is gaining experience specifically within event planning and promoting, since that is my intended career path. Outside of Eat'n Park, I like to be a nerd by reading fantasy novels, such as: Lord of the Rings and Game of Thrones. I also like to spend my time outside with my cats, swimming, playing volleyball, and attending concerts around Pittsburgh. 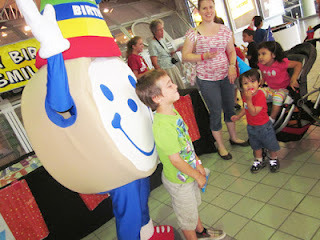 In conclusion, my favorite thing about Eat'n Park is the culture. The motto around the office is "Work hard. Play Hard. ", and that's exactly what we do. My name is Anthony, and this fall, I am going to be a Junior Marketing major at Saint Vincent College. I cannot wait to attend all the events throughout the summer, and officially become “Cookie Certified.” In my spare time, I love to cook, eat, read, workout, and jet ski. This past winter, I learned how to ski, and I am now officially addicted to the slopes. Also, I am definitely the biggest foodie you will ever meet. There is not a single food I do not like and will not eat. I can honestly say that my favorite thing about Eat ‘n Park, besides the Fried Zucchini, is the fact that everyone loves seeing smiling faces, and when you run into an Eat ‘n Park employee, you are guaranteed to find a smiling face. Hi, I'm Ari. I graduated from Duquesne University and majored in Advertising and Graphic Design. There are many perks to working on Team Smiley, but I'm most looking forward to contributing to community events, developing more knowledge on events and promotions, and distributing as well as eating as many Smiley Cookies as I can. While I'm not on the road with Team Smiley, I'm working on freelance graphic design projects and as a production assistant to help a team of my friends with their production company. In my spare time, I enjoy art, movies, running, rock climbing and traveling. My favorite things about Eat'n Park are the Original Breakfast Smile and chocolate milkshakes, and the company the Eat'n Park staff keeps at any time of the day! My name is Ashley and I am a senior at Penn Sate majoring in Journalism. I really enjoy playing sports and being outside during the summer. I am so excited about this internship because Team Smiley gets to meet tons of Eat'n Park guests and make them happy by giving them Smiley Cookies! My favorite thing about Eat'n Park (besides the Strawberry Pie) is how everyone who works there treats you like family. Guests are able to enjoy great food and service every time they come into the restaurant. Hi, my name is Katie and I will be a junior at Elon University in the fall. I am passionate about community service, international travel, cheerleading, and leadership. 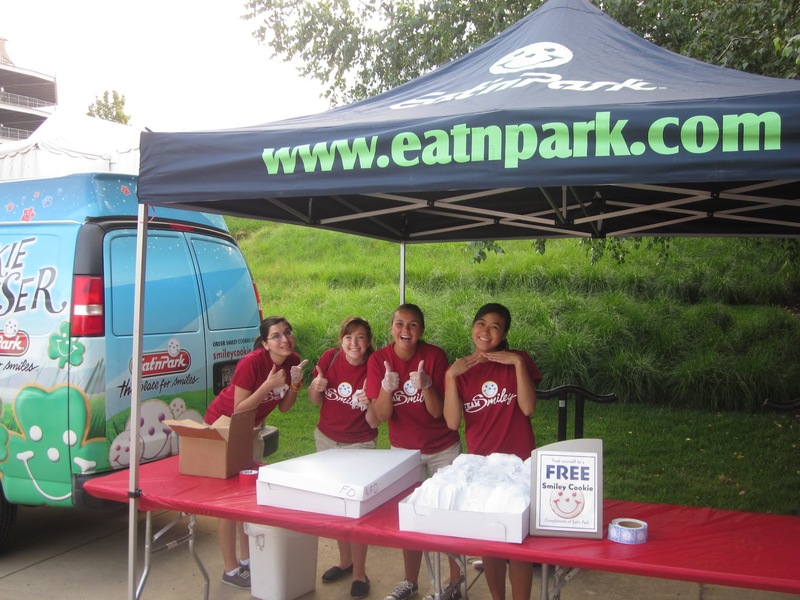 This summer, I will work with my team to leave a positive lasting impact on Eat'n Park by incorporating social media to attract a young adult audience. And my absolute favorite thing about Eat'n Park is potato soup day every Wednesday and Sunday! Team Smiley veterans have raved to this year’s team about one of the greatest events of the summer. It wasn’t until this past Saturday that we experienced this first hand. At our Smiley Cookie decorating tent, athletes shared their optimism, stories of their games - whether they were wins or losses - and their courage, which made us Team Smiley members believe in all that is right with the human spirit. This experience echoes the mission of the Special Olympics, and we now understand why the athletes in years past have left a lasting impact on our team members. Their memorable personalities have warmed our hearts and have uplifted us. We are grateful for the opportunity to meet and bring smiles to over a thousand athletes of every age. Smiley and the athletes enjoy a little dancing! You can be certain that we'll pass on what a wonderful experience we had at the Special Olympics, continuing the tradition of telling future Team Smiley members about one of the greatest events of our summer! 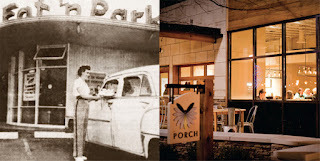 In November, we opened The Porch at Schenley, a new concept in Pittsburgh's Oakland neighborhood. This month, we'll be opening another new concept (read more about that below). These new additions are just the latest steps in the evolution of Eat'n Park. 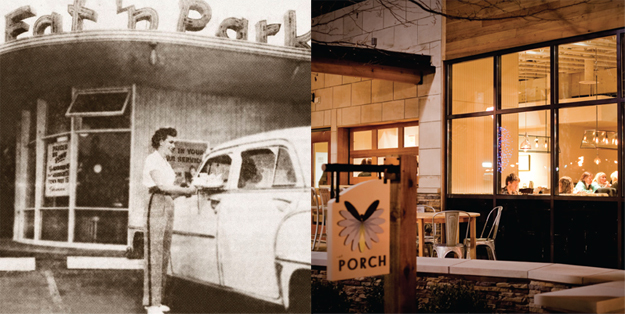 From humble beginnings as a car-hop restaurant in 1949, we've continued to grow and change with the times, all the while retaining the core values that make us who we are. Click here to read Pittsburgh Magazine's take on how we've grown. Our newest concept, Hello Bistro, is set to open at the end of June. A fast-casual restaurant with subtle ties to some of Eat'n Park's core items (think Salad Bar and Superburgers), Hello Bistro will serve up a fresh twist on salads, burgers, sandwiches, and more. Though the new concept shares a few similarities with Eat'n Park, one very noticeable difference availability of beer & wine. Click here to see what else the Post-Gazette had to say. A few months ago, our team members visited Brenckle’s Farm in Butler to help plant some of our vegetables for the season. They were hard at work transplanting over 18,000 pepper plants and planting over 7,000 zucchini seeds. Now, just a few months later, these plants are thriving. It’s amazing what a few months of sun will do to them! We don’t know about you, but we are anxiously waiting for when these veggies can be harvested and used in our restaurants! It’s officially the start of FarmSource season at Eat’n Park.